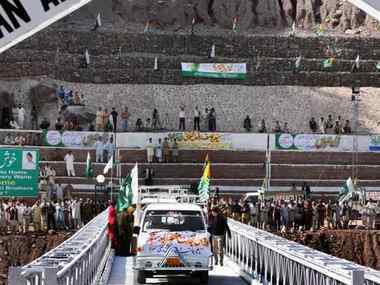 The Pakistan government on Monday approved a proposal to establish a corridor that will allow Hindu pilgrims from India to visit Sharda Peeth, an ancient Hindu temple and a cultural site in Pakistan-occupied Kashmir (PoK), PTI reported. 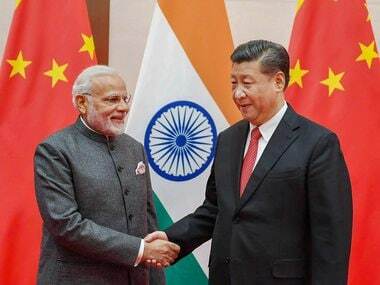 The Sharda Peeth corridor, when opened, will be the second religious tract after the Kartarpur corridor in the Pakistan-controlled territory that will connect the two neighbouring nations. Reportedly, India had already sent a proposal to Pakistan to open the temple corridor, sources in Pakistan's Ministry of Foreign Affairs told the Express Tribune. 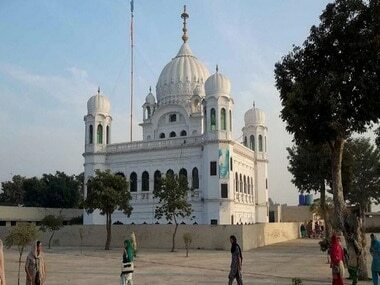 "After Kartarpur, a piece of big news is in the offing for Hindus. Some of the government officials will visit the area and will later submit a report to the prime minister," they were quoted as saying in the report. "Pakistan has decided to open the Sharda temple. Work on the project will start from the current year after which Hindus in Pakistan will also be able to visit the site," Pakistan Tehreek-e-Insaf member Ramesh Kumar told PTI. "I am going to visit the place in a couple of days. I will also send a report to Prime Minister Imran Khan," he said. Meanwhile, PDP president Mehbooba Mufti on Monday said that the opening of the temple in Pakistan occupied Kashmir (PoK) can help India and Pakistan navigate the current impasse. “Not too long ago, I had written to the prime minister imploring the Government of India to reopen Sharda Peeth, a temple across LoC for Kashmiri Pandits. An initiative like this at a time when India-Pakistan tensions are at an all-time high could help navigate the current impasse,” Mehbooba tweeted. Established in 237 BC during the reign of Ashoka, the 5,000-year-old Sharda Peeth (which translates to 'the seat of Sharda') is an abandoned temple and ancient centre of learning dedicated to the Hindu goddess of learning, Sharda (another name of Saraswati). Between the 6th and 12th centuries CE, Sharada Peeth was one of the foremost temple universities of the Indian subcontinent. It was considered one of the most important seats of learning in South Asia, like Nalanda and Takshashila, where religion, philosophy, contemporary literature and astronomy were taught. The temple is next to the famed Sharda University, an ancient place of learning of Buddhism and Hinduism which has hosted scholars such as Adi Shankaracharya. In fact, the idol at the Shringeri Sharadamba temple in south India was once said to have been made of sandalwood, which was taken by Shankaracharya from the Sharda Peeth. It is also one of the three famous holy sites for Kashmiri Pandits, the other two being the Martand Sun Temple and the Amarnath temple in Anantnag. The Kashmiri Pandit organisations, therefore, have been demanding the opening of the corridor for many years now. It is also one among the 18 'Maha Shakti Peethas' – highly revered temples throughout South Asia that commemorate the location of the fallen body parts of female Hindu deity Sati. It is about 10 kilometres from the Line of Control and situated at 1,981 metres above the sea level in the valley of Mount Harmukh, which is believed by Kashmiri Pandits to be the abode of Lord Shiva. However, according to the Express Tribune report, the landmark is “in ruins” due to lack of maintenance and is in urgent need of restoration after being severely damaged by the earthquake which occurred in 2005 in Pakistan. 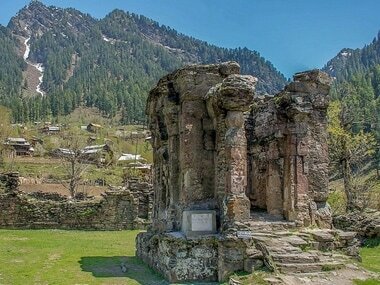 The temple, situated in Sharda village in the Neelam valley at the confluence of three streams, lies in ruins but has not been desecrated, The Times of India's report said. According to a Dawn report, in the year 1030 CE, Muslim historian Al-Biruni visited Kashmir and narrated that he saw a wooden idol of Sharda Devi in the temple. He compared the temple to the Multan Sun Temple, Vishnu Chakraswamin temple at Thanesar and Somnath temple. Many believe, and as mentioned in Dawn's report, the temple is very likely to date back to the eighth century CE, in the age of the Karkota dynasty of Kashmir. From what remains of the ruins of the temple, it is reported to have been built of locally quarried red sandstone. The temple had periodically fallen into disrepair by the 14th Century as it was attacked for the first time by Muslim invaders. After the attack, India started losing its contact with Krishanganga and Sharda Peeth. Later, in the 19th Century, Dogra king of Kashmir, Maharaja Gulab Singh, restored the temple. Thereafter, following the brief 1947-1948 Kashmir war in the region between India and Pakistan, the site came under the control of Pashtun tribesmen who invaded the region. Control was then passed to the newly formed government of PoK.